In the Borage family, you'll recall, plants have hairy foliage, small flowers with parts in fives (generally); and tiny fruits. 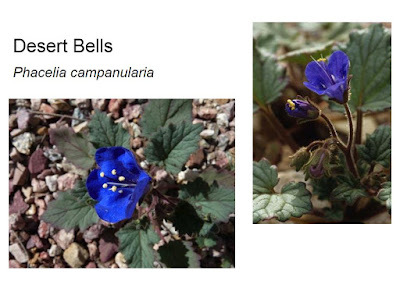 Phacelia campanularia is actually a non-native. 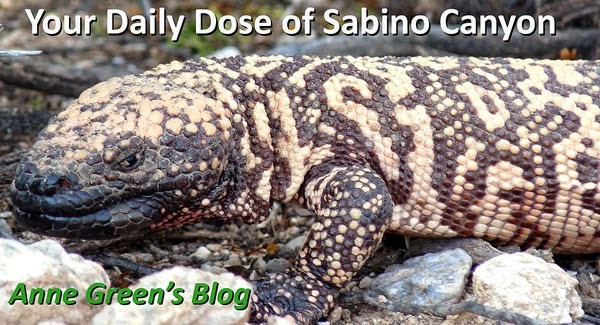 (I haven't seen any in Sabino recently.) It remains to be seen if it will outcompete the natives in the wild; but it's going crazy in my yard. As with all living things, both genetics and environment matter. 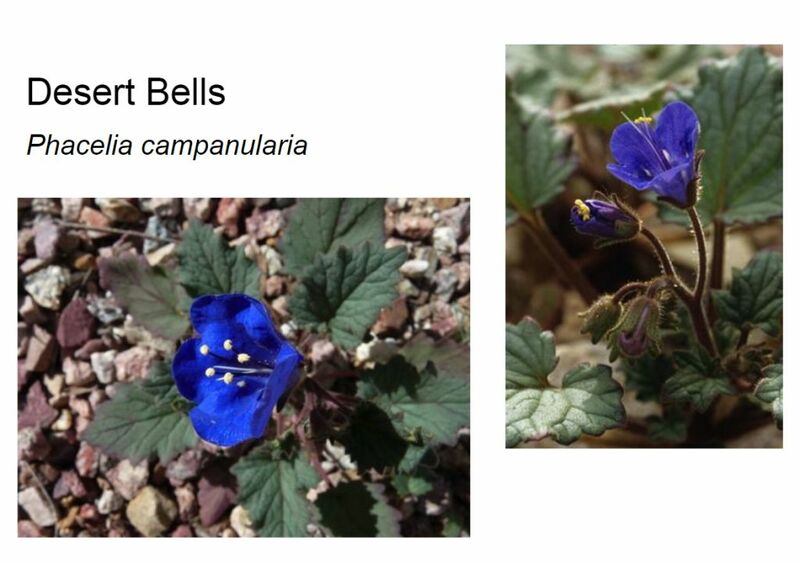 The Desert Bells in a certain spot in my yard grow quite tall, have noticeably curved stems, and larger than 'normal' leaves. In the photo on the left, you can count the 5 white 'dots' in the middle. Those are the male parts. 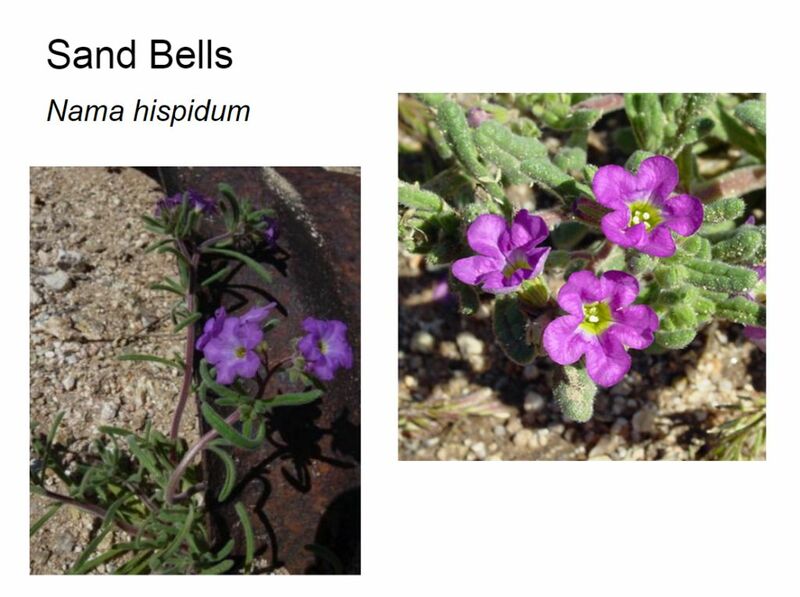 Sand Bells (aka Nama) Nama hispidum are often seen in Sabino in February and March. Look in the last wash on the main trail, just before you get to the paved road into Bear Canyon. There are (still) some rusted pipe pieces. Note the five lobes of the flower. As my Honey-Matt notes, the foliage in these two photos looks quite different, even though they are the same species. Yes, indeed. You and I are the same species, too. There are variations in the plant world as well. Tomorrow, the even smaller-flowered Borages!